That's up around 4 percent from the 461 million tonnes Indonesia produced in 2017. Indonesia's National Development Planning Board (BAPPENAS) has pushed for coal output to be capped at 400 million tonnes in 2019, but according to coal and minerals director general Bambang Gatot Ariyono that target needs to be "harmonised" with other considerations. 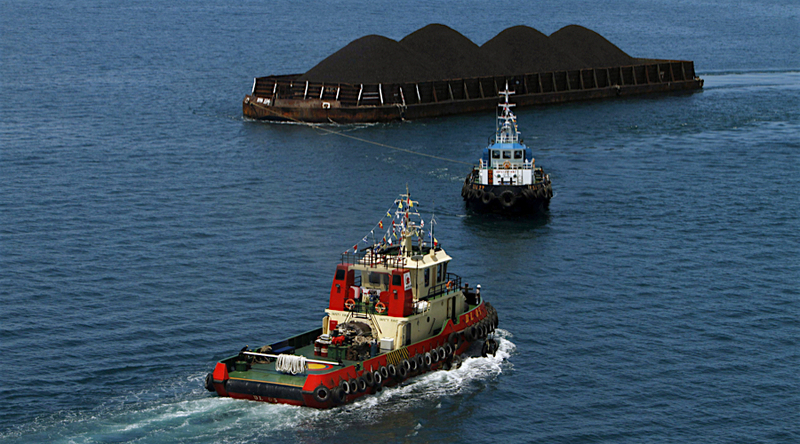 "Otherwise there could be idle capacity or (miners') coal production could be sub-optimal," he told reporters on the sidelines of the Coaltrans Asia conference. Ariyono referred to environmental permits allowing output to reach 609 million tonnes this year and 651 million tonnes in 2019, and feasibility studies presenting other figures. Amid concerns Indonesia could exhaust existing minable coal reserves of 13 billion tonnes 25 years, the government is considering measures to push miners to carry out exploration work before they can obtain permits to increase output. "It could start next year," Ariyono said. "To improve the mine life a lot of miners are carrying out pre-stripping and increasing stripping ratios to increase reserves. That's a saving for the future – almost all players," he said. However, heavy equipment shortages are limiting expansion, particularly for smaller miners, Sjahrir said. "In general, getting equipment parts is difficult (and) up to the middle of 2019 it will be difficult to increase production, but for smaller players it will be more difficult because of shortages of financing." Suppliers remain wary of providing equipment to contractors as purchases of costly heavy equipment are often repaid over a period of up to five years, Sjahrir said. According to Andy Coles, president director of mining services contractor BIS Industries, waiting times for 200-tonne excavators are currently around 12 months. "Everyone is looking for equipment," he said. Shortages of equipment like trucks, rollers and graders made by Caterpillar Inc, Komatsu and Volvo mean it is harder for miners to ramp up output and take advantage of recent improvements in coal prices, he said. The shortages also threatened to disrupt mining operations, Coles added. "When you get rain combined with no maintenance you get a significant deterioration of roads (and) that impacts your hauling equipment, destroys the springs. Engines, everything falls apart." According to Indika Energy Group Managing Director Azis Armand, wet weather hit operations of many Indonesian miners in 2017 and the first quarter of 2018, but conditions are now improving.